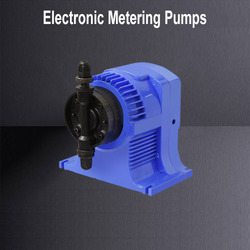 Highly acknowledge for its quality, our company is engaged in offering a vast array of Electronic Metering Pumps. 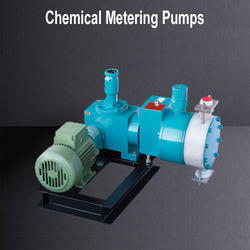 These metering pumps are widely used for simple applications with non-critical, harmless fluids. Our metering pumps are suitable for handling hazardous, toxic, abrasive, viscous, polluting and sensitive fluids in different industries. Offered metering pumps are accessible from us on numerous specifications to meet the demand of customers in a committed time frame. Brand MINIMAX PUMPS PVT. LTD.
By keeping in mind varied specifications of our respected clients spread all over the country, we are providing Reciprocating Metering Pump that can deliver flow streams at adjustable and controlled rates in required process conditions. Our offered metering pumps are developed at our sophisticated manufacturing unit utilizing top notch material & latest technology in line set standards. 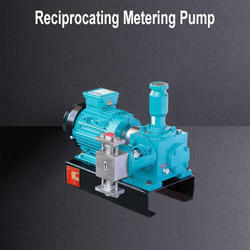 The offered metering pumps are known as feed pump, proportioning pump, injection pump & leak less pump. W. P. - upto 400 kg/cm2. 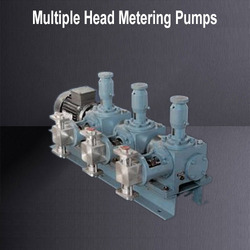 With heart-earned industrial experience and technical knowledge, we are involved in providing a comprehensive range of Multiple Head Metering Pumps. Owing to their flawless performance, high operational safety, these pumps are demanded in the market. Our offered metering pumps are stringently tested on several parameters by our quality experts so as to supply a defect free range. 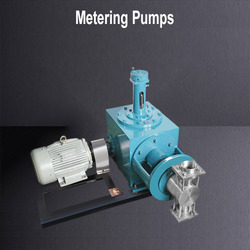 We offer these metering pumps in different specifications according to the demands of customers. We have been ranked as the most dependable and leading firm all over the nation and actively emerged in providing Chemical Metering Pumps. These metering pumps are designed to move materials, acids, chemicals, coolants, hazardous fluid materials & lubricants. Our metering pumps are inspected in terms of quality so as to dispatch a defect free range. These metering pumps are appropriate for handling hazardous, toxic, abrasive, viscous, polluting and sensitive fluids in different industries.